Ever came across the acronym NFC? 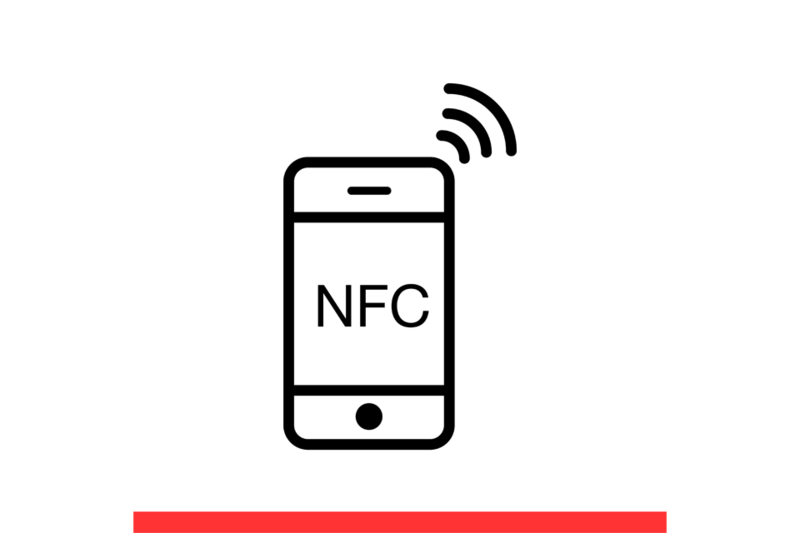 If you’re working in the tech field or you’re a gadget enthusiast, you probably have an idea what NFC or Near Field Communication is all about. Otherwise, it might just make you scratch your head. NFC, or Near Field Communication, is a technology designed to make transferring data easier between two devices. Whether it’s a photo or video you want to send, or you wish to complete a payment, NFC can make it possible. But how does it work? Can you even use it on your Android device? NFC is currently being marketed as a data and file-sharing technology. It became popular in the mobile scene after Google released Android Ice Cream Sandwich, which introduced the Android Beam functionality. 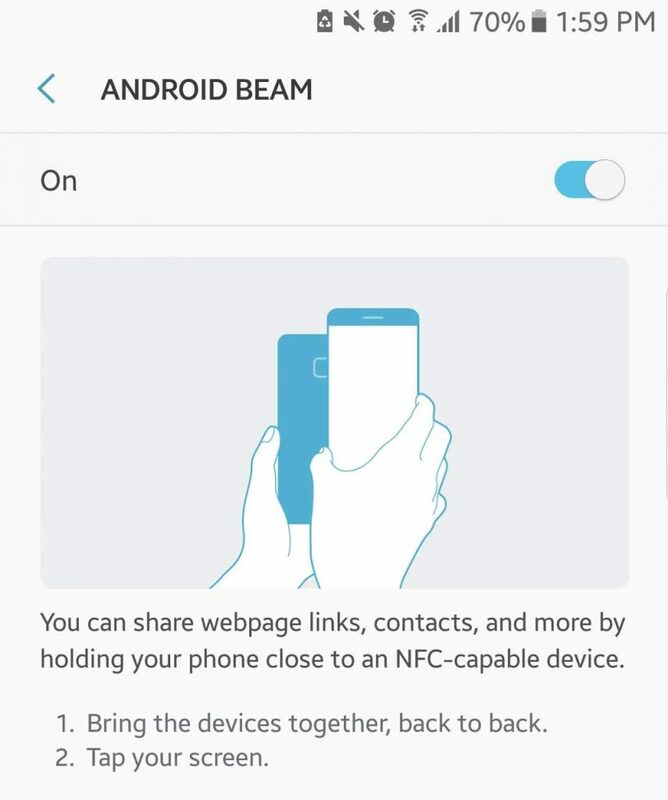 When used together with Android Beam, NFC lets devices exchange files easily. Furthermore, the use of NFC on Android devices enables reading and writing programmable NFC tags that serve as a storage space for a wide range of data, including web addresses, app links, and contact details. As long as NFC-capable devices are close to each other, they can communicate with each other. The communication takes place with the help of radio frequencies. The rest is science. 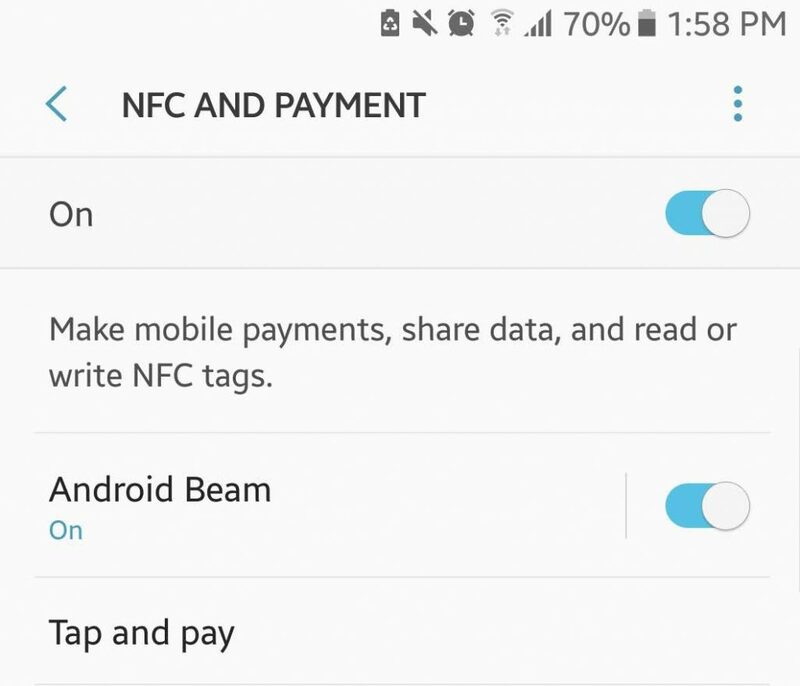 Scroll down until you see the NFC and Android Beam settings. Go to Settings -> More Settings. Toggle the NFC switch to enable it. As you do that, the Android Beam function will turn on as well. If Android Beam does not activate, tap it and then press Yes to switch it on. Technically speaking, you can only maximize what you can do with NFC on your Android device if Android Beam is also enabled. Both the receiving and sending devices should have Android Beam, and NFC enabled. Both devices should stay unlocked. There will be audio feedback whenever two NFC-enabled devices detect each other. While sharing data with another device, make sure you don’t separate them. There will also be audio feedback to notify you when data sharing is successful. Position both devices with their backs against each other. Wait until you hear audio feedback to confirm that both devices have detected one another. Tap it to start beaming. There will be another audio feedback once sharing starts. Finally, when sharing is completed, you will hear another audio feedback. A lot of Android devices on the market today already support NFC functionality. So, if you carefully read this guide, you should be able to share files and data using this breakthrough technology. And just in case you feel the need to secure your Android device since you will be using it to connect with other devices, download and install Outbyte Android Care. This app does not only give you full control over your privacy; it also ensures your device won’t slow down as you share data and files with other NFC-capable devices.